Many thanks to my friend (and Acura sales & leasing consultant) Paul at Ed Voyles Acura for sending me some awesome literature in the mail! Here’s a screen shot from the Excel spreadsheet where I keep track of my inventory. 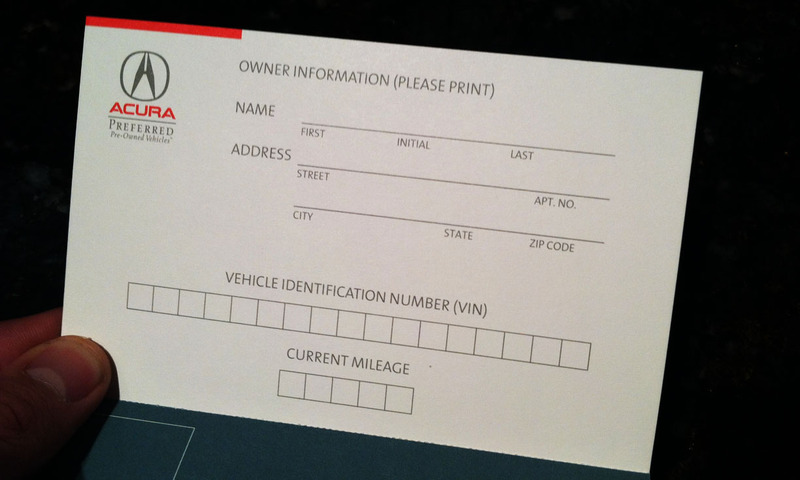 In total, I have collected 75 items that pertain to general Acura interest (ranging from full-line model brochures to press kits, greeting cards, postcards, paint chips, things of that sort). Then, I have a separate 50 or so items that are specific to the Legend (brochures, promotional videos, posters, etc). It’s become quite the library! I talked about some of it here. Here’s a new piece that I picked up just this past weekend. 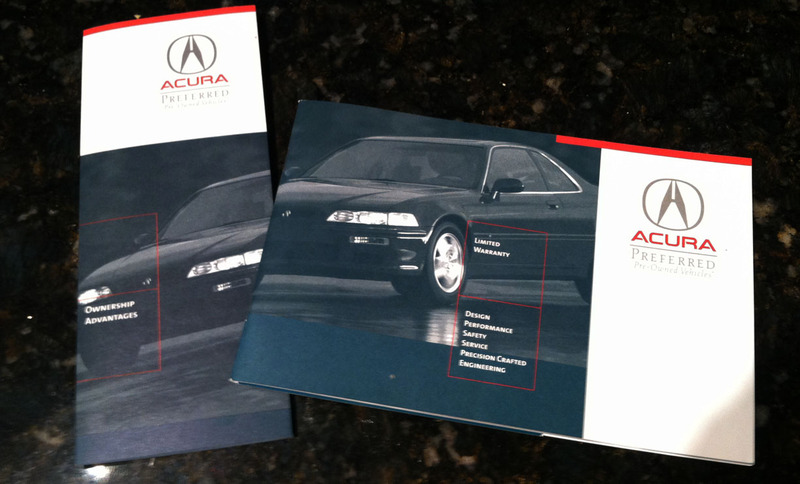 It’s a 12 x 12 detailed brochure on the 1991 Legend sedan that I got from my friend Mark in Los Angeles. Along with that campaign were printed various types of literature, including this pamphlet and booklet that Paul sent to me. 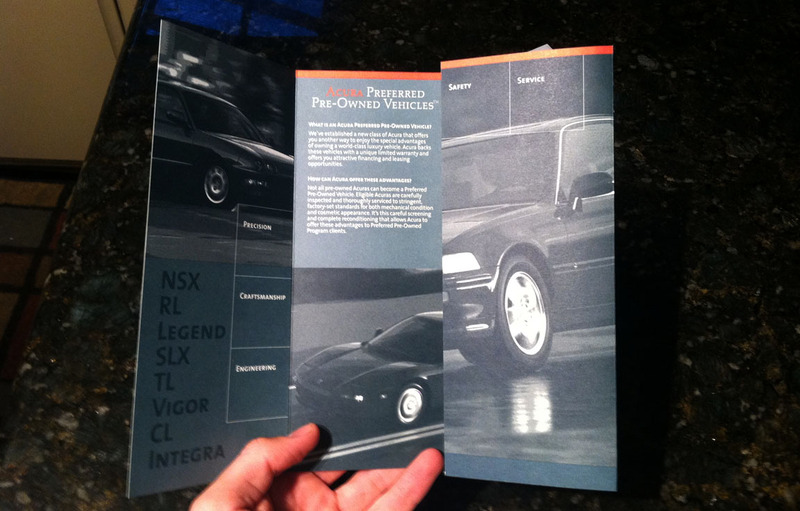 These were printed in 1995 and contain detailed information about the Preferred Pre-Owned program as it related to the NSX, RL, Legend, SLX, TL, Vigor, CL, and Integra models. 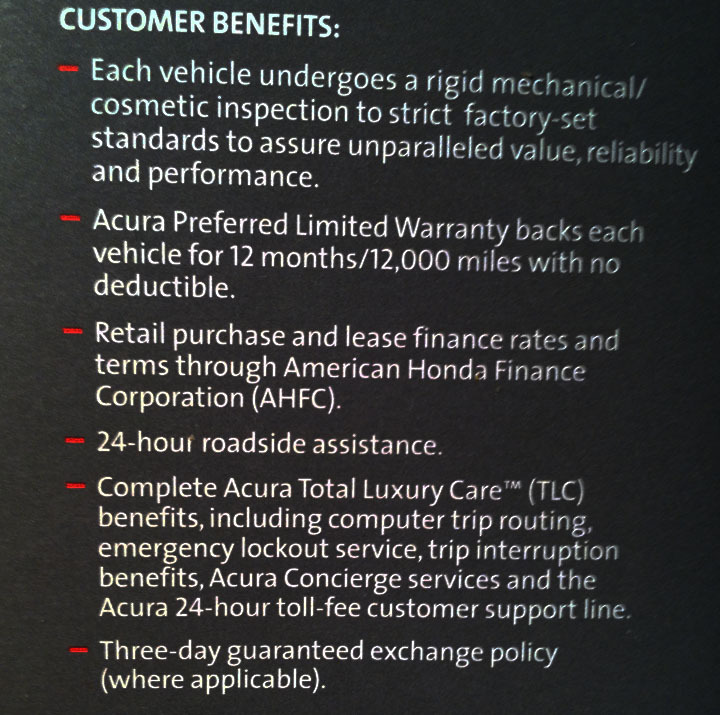 The brochure has 24 pages of detailed information about what WAS and WAS NOT covered in the Preferred Pre-Owned vehicle warranty program. One of my favorite recommendations in the brochure was: “As an aid for the next owner, keep all maintenance receipts with the vehicle if it is sold.” Something that I love to see when I’m browsing the classifieds is a vehicle that’s fully documented back to new. I’d be far more comfortable buying a 200,000 mile car with full maintenance history than one with 100,000 miles and zero paperwork. 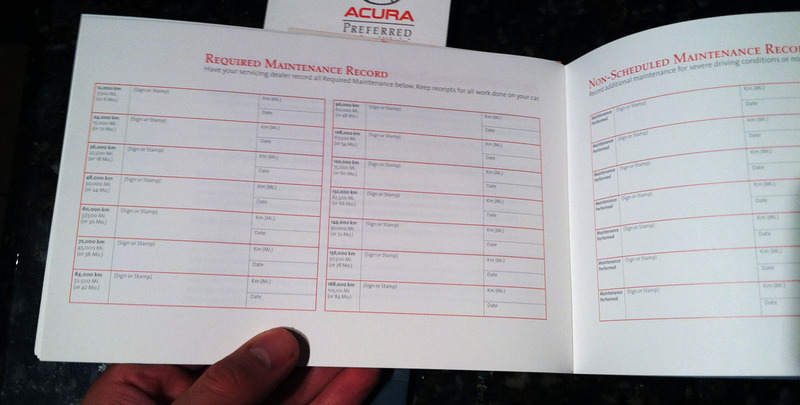 Toward the end of the booklet there’s one page called Required Maintenance Record. I don’t think these 14 boxes would have lasted me very long, considering my Legend’s maintenance spreadsheet now contains 236 lines of data. Perhaps the best part of the whole package was a postcard attached to the back cover. 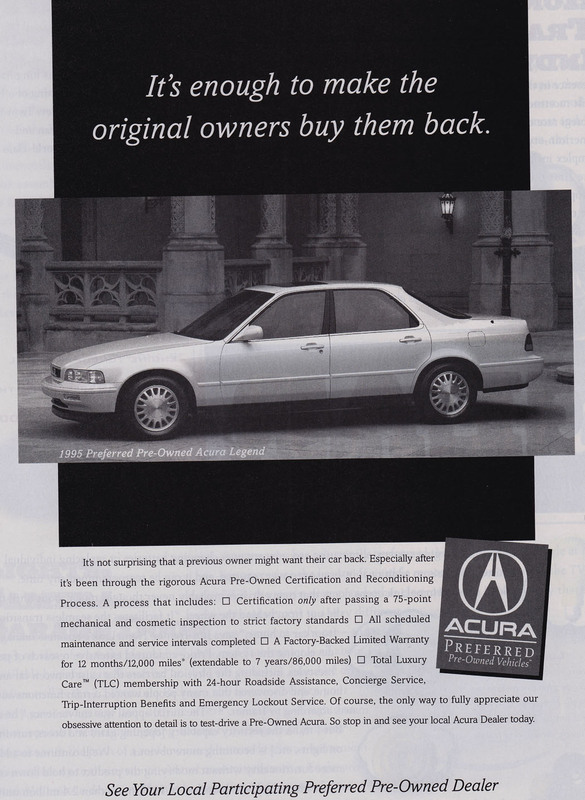 The idea here was that owners could register themselves as members of the Preferred Pre-Owned program. I wonder if I should fill one out for my Legend and just see what they do with it when it gets there? 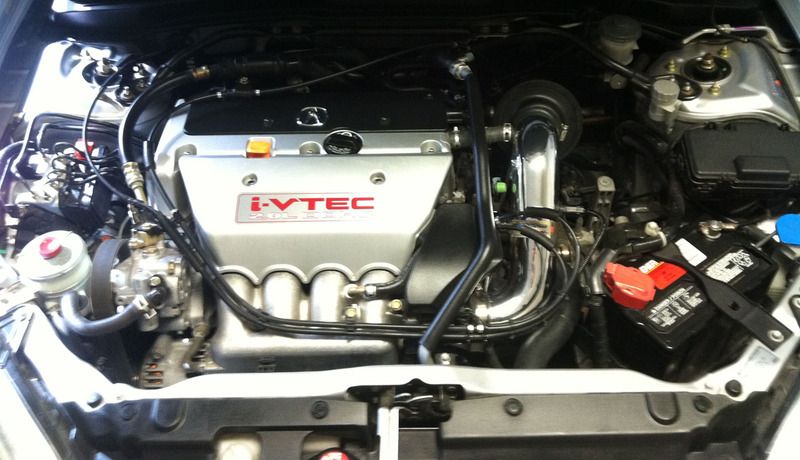 My friend Buck is getting ready to part with his 2002 RSX Type-S. It’s immaculately maintained with only 91,500 miles on the odometer. The interior is black leather. 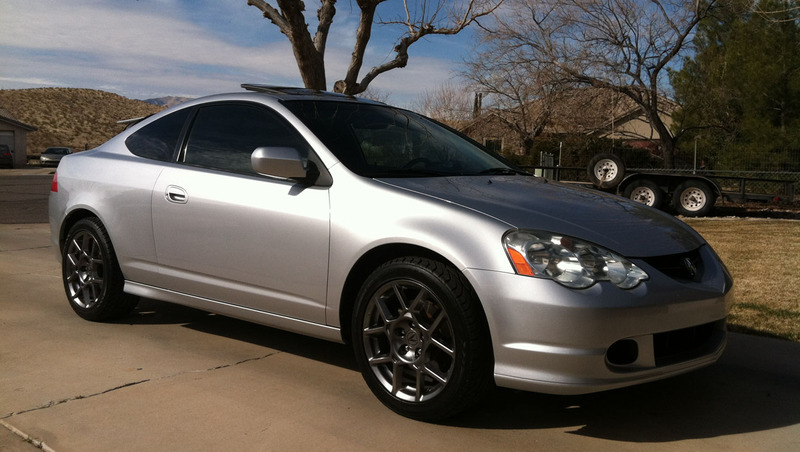 The RSX is customized with 17″ wheels from the 2007-08 Acura TL Type-S. For inquiries, reach me at the email listed in my “About” page and I’ll put you in touch with Buck. The car is located in southern Utah. This entry was posted on March 25, 2014 at 7:13 pm and is filed under Brochures. You can follow any responses to this entry through the RSS 2.0 feed. You can leave a response, or trackback from your own site. Didn’t even know about the pre-owned literature. I would photocopy the postcard and send it in to see if you get a responce!